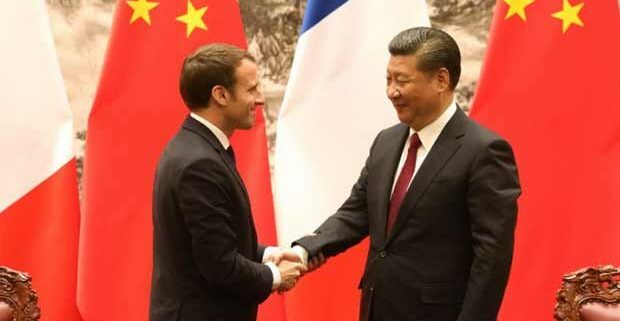 (Paris) – Chinese President Xi Jinping and his French counterpart Emmanuel Macron called for increased cooperation between the European Union and China, at a time of growing nervousness over Beijing´s massive investments on the continent. 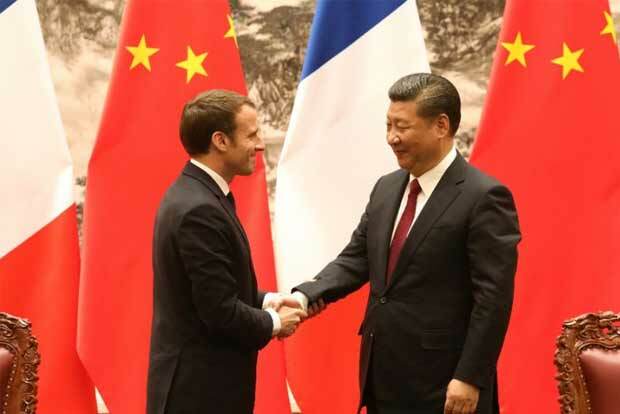 Speaking at the Elysee Palace following talks with Xi, Macron called for a “strong Europe-China partnership”, adding that this must be based on “strong multilateralism” and “fair and balanced” trade. Xi´s, for his part, stressed that “a united and prosperous Europe fits in with our vision of a multipolar world”. “China will always back European integration and its development,” he added in a statement to the press. The statements followed the signing of a dozen of deals on nuclear power, cultural exchanges, clean energy, and a huge contract which will see China buy 290 Airbus A320s and 10 A350 airliners from Europe´s Airbus conglomerate. The order, originally for 184 A320s for 13 Chinese airlines, was first announced during Macron´s state visit to China in January 2018. All the deals, including one on French exports to China of frozen chicken, amount to a total of some $40 billion. Monday´s talks come a day ahead of another meeting in Paris, this time between Macron, Xi, German Chancellor Angela Merkel and EU Commission chief Jean-Claude Juncker to explore “points of convergence” between the two trading giants. An EU-China summit will take place in Brussels next month.